William Griffith Henshaw III passed away peacefully surrounded by his family at Summit Medical Center on March 18, 2010. William was the son of William Griffith Henshaw Jr. and Florence Irene Rowlands Henshaw. He was born on September 18, 1923, and lived his first year in San Francisco. He was predeceased by his sister, Mary-tom Henshaw Leefeldt. The Henshaw family moved to Piedmont in 1924. He attended Frank C. Havens, Piedmont Jr. High, and graduated from the Webb School of California. Bill attended the University of California at Berkeley and received a Bachelor of Science in Electrical Engineering. At Cal, Bill was a member of Delta Kappa Epsilon fraternity. Bill was the loving and devoted husband of Patricia Madigan Henshaw, whom he married on June 3, 1950. Pat and Bill would have celebrated their 60th anniversary this June. They were blessed with three children: Julia Irene Henshaw (Alejandro Cerda), Alla Patricia Henshaw Ponty, and William Griffith Henshaw IV. They have five grandsons: George S. Ponty, Trevor Henshaw Ponty, William S. Ponty, William Griffith Henshaw V and Matthew Madigan Henshaw. Bill was a devoted husband, father and grandfather. Bill began his career as an electrical engineer with Pacific Gas and Electric Co. He became President of the Henshaw Investment Co., a family holding company, Warner Resort Company (parent company for Lake Henshaw in San Diego County), Eden Valley Ranch Company and the Los Tules Mutual Water Company. He was Chairman of the Executive and Retirement Committees at Riverside Cement Company, which subsequently became the American Cement Company then Amcord. He continued in his chairmanship roles at both companies. Bill was also a Director of Hawaiian Cement, the Secretary-Treasurer of the Hiram Tubbs Estate, Director of Tubbs Cordage, a trustee of the Riverside Cement Fund. One of Bill's greatest joys was serving on the board of the Webb School for over 20 years, during which time he served as Vice President of the Executive Committee. He had been listed in past publications of Who's Who in America. Bill was a third generation Californian. He was a third generation and fifty-year member of the Pacific Union Club, and also a third generation member of the Claremont Country Club, of which his grandfather was a founding member. He was also a former third generation member of the California Club, and member of the Glenbrook Club. 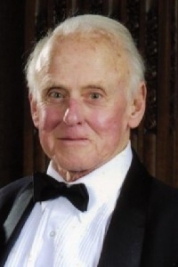 Bill enjoyed music of all kinds and was a long time supporter of the San Francisco Opera. Bill was an extremely hard working and unassuming individual who took the "Honor Code" taught at the Webb School to heart, and incorporated the code of honor into his family, business and civic life. Some of Bill's fondest memories were of riding and fishing at his family's ranch, Eden Valley. He had a heritage with railroading and enjoyed railroad history his whole life. Bill especially enjoyed time with his grandfather, the Western District Supervisor of Central Pacific, riding in his private car. He enjoyed time with his family at Glenbrook, Warner Springs, Snowmass and Hawaii. Bill was a voracious reader, very mechanically minded and had a keen intellect, right up until the day he died. He thoroughly enjoyed discussions on many varied topics, (especially politics!) and was a source of knowledge and information for many. He will be missed greatly by his family and many friends. A memorial service will be held on Friday, April 23rd, at 2:00 p.m. at Mountain View Cemetery. Reception to follow. At the family's request donations may be made in his name to The Webb Schools of California, 1175 W. Baseline Road, Claremont, CA, 91711, or to a charity of your choice. Patricia Madigan Henshaw of Oakland, CA. died peacefully at home with her family by her side. Pat was born in Oakland, CA to Edward Patrick "Slip" Madigan and Charlotte Kopp Madigan. Pat attended Marylrose Elementary School, Anna Head School, and graduated from Berkeley High School. Pat then went on to attend UC Berkeley and graduated with a BA in History. On June 3rd, 1950 Pat married the love of her life, William G. Henshaw III. They settled in Piedmont, CA. where they raised three children. Pat was a long time member of the Junior League, Piedmont Garden Club, Hoe and Hope, Northern California Chapter of ARCS, Francisca Club, Claremont Country Club and the Oakland Women's Athletic Club. Pat was also a long time Board Member of the De Young Museum and an avid patron of the San Francisco Opera. Pat was a devout Catholic. She was a talented interior decorator, a creative and skilled gardener, flower arranger and sought-after Flower Show judge. In her spare time she enjoyed playing bridge, tennis [she was on the CCC tennis teams for many years] golf at Glenbrook, Lake Tahoe [Pat was a Paiute golfer] and skiing at Aspen, Colorado. Pat and Bill loved to travel, and they especially enjoyed going to the Hawaiian Islands where they honeymooned in 1950. Pat was an active and energetic parent volunteer, loving and devoted wife, mother, sister, daughter and grandmother. Pat was preceded in death by her parents and husband, Bill. Pat is survived by her three children, Julie (Luis) of Oakland, Alla of Pacific Palisades, and Griff of Carlsbad, by grandsons, George, Trevor and William Ponty, and Matthew and William G Henshaw V. She is also survived by her sister, Mary Madigan Graney of Walnut Creek, and her brother, Edward Madigan, as well as several nieces and nephews. Obituary of William Griffith Henshaw III. Obituary of Patricia Anne Madigan. 1930 census, Piedmont, Alameda County, California; roll T626-110, ED 333, page 34B, line #91, dwelling #326, family #326. Obituary of Edward Patrick "Slip" Madigan; The "Lowell Sun" (Lowell, Massachusetts), Oct 11 1966; http://www.ancestry.com. "United States Obituary Collection", http://www.ancestry.com.